Our team of experienced Accountants do more than just tax returns, and can help you to manage all your personal tax-related and financial necessities. Committed to helping you effectively manage your responsibilities and achieve your goals. A range of tax and accounting solutions, tailored to fit your business. Keep your business organised and running smoothly. We provide a range of our regular and one-off bookkeeping services, including bookkeeping software set-up and support. Providing a wide range of Self-Managed Super Fund (SMSF) services and advice, including set-up, tax returns, auditing and investment advice. 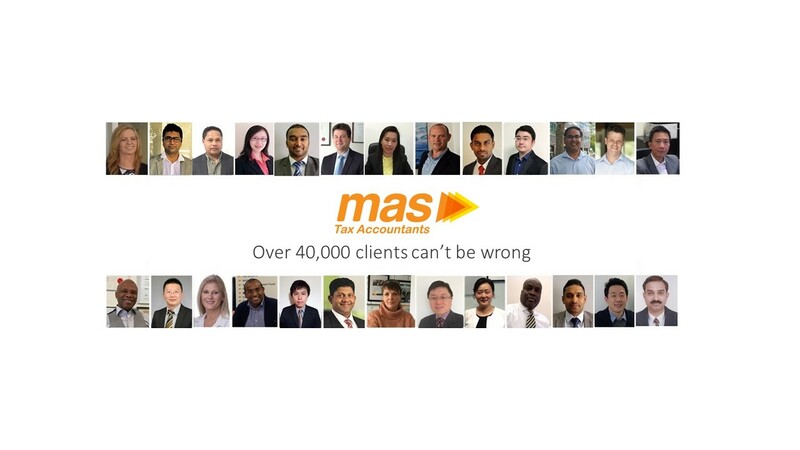 Welcome to MAS Tax Accountants! Specialising in a range of Tax, Accounting, Superannuation and Business Services, we aim to deliver expert, reliable and cost-effective solutions to our clients. At MAS Tax Accountants, we work with Individuals, Families, Sole Traders and different-sized businesses, and assist them to understand and manage their Tax and Accounting commitments. For an appointment, or a confidential discussion of your needs, please contact our Tax Accountants today, or call 1300 627 829. The team have been highly proficient with all our bookkeeping requirements and have helped us greatly through our continued business journey. Immediately got to know my business and assisted me get up to date with my accounting, reporting and tax requirements. Clear, concise and always ‘on-the-ball’ when it came to support and traction on initiatives. “Sensational service and wonderful people. A very nice change from my previous accountants! They are very knowledgeable, helpful and took time to explain things to me. Highly recommended. I am new to the workforce and I was daunted by tax returns, but this service was so easy and fast that I didn’t have to worry about anything! Would definitely recommend this to everyone.